Black is associated with luxury and expensive things, so the color choice is absolutely perfect for stores selling houses and apartments. 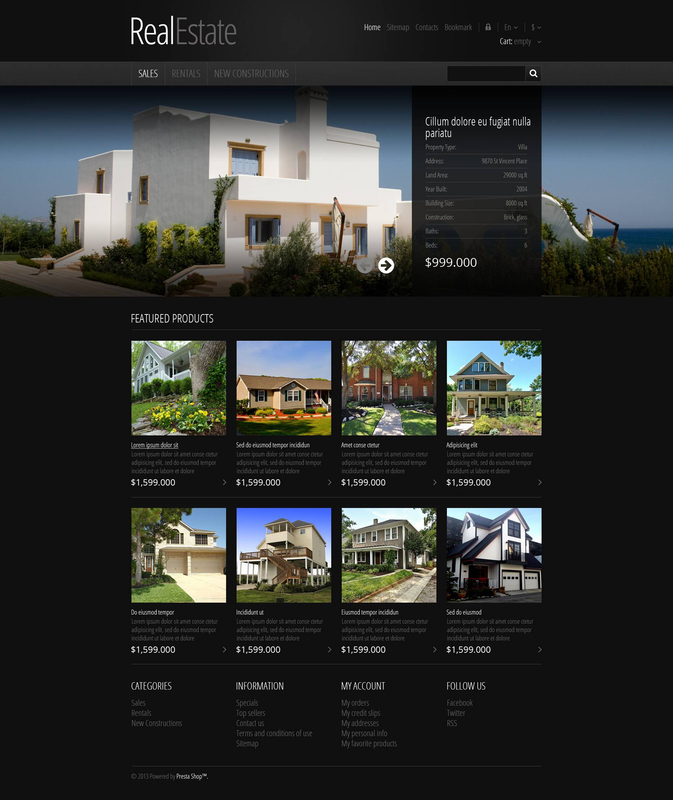 Of course, the template has large, impressive slideshow, accompanied by property details. Featured products, arranged in four columns are also supplied with descriptions, prices and mouse over effects. Social sharing block is in the footer. Fast and easy! It was awesome. Can I add the Arabic language for the site? How much does it cost?